The lunar landing, the Watergate break-in, the release of Nelson Mandela, the death of Princess Diana, 9/11 - these triumphs and tragedies are among the many thousands that have shaped our world through the centuries. This remarkable book presents enthralling accounts of 1001 life-changing events that have taken place around the world since the Big Bang. From the foundation of Rome on 21 April 753 BCE to the execution of Saddam Hussein on 30 December 2006, and from the Battle of Marathon on 21 September 490 BCE to the accord in Northern Ireland in 2007, 1001 Days That Shaped the World tells the history of the world through extraordinary moments, decisive encounters, memorable incidents and natural disasters. 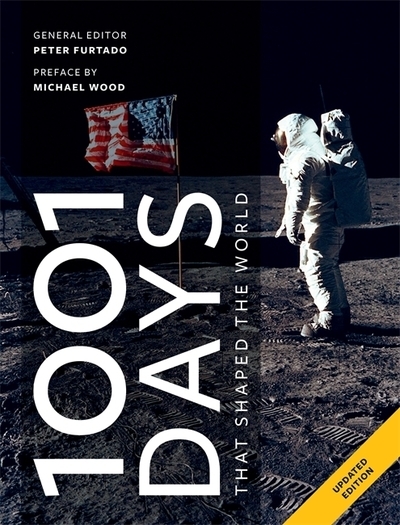 Compiled by historian Peter Furtado, and written by an international team of historians, journalists and scientists, 1001 Days That Shaped the World features a detailed and informative account of every event, together with an assessment of the longer-term physical, cultural, social or economic impact. Evocative paintings and dramatic photographs complement the incisive text to make this book the one essential guide you'll need to understand just why the world is what it is today. Peter Furtado was for 10 years the editor of the highly regarded History Today, the oldest monthly history magazine in existence. Over the last 30 years Peter has written and broadcast frequently on history and the media, and has edited many reference works on history, including the Atlas of World History. He holds degrees in history and art history from Oxford University and is a fellow of the Royal Historical Society.